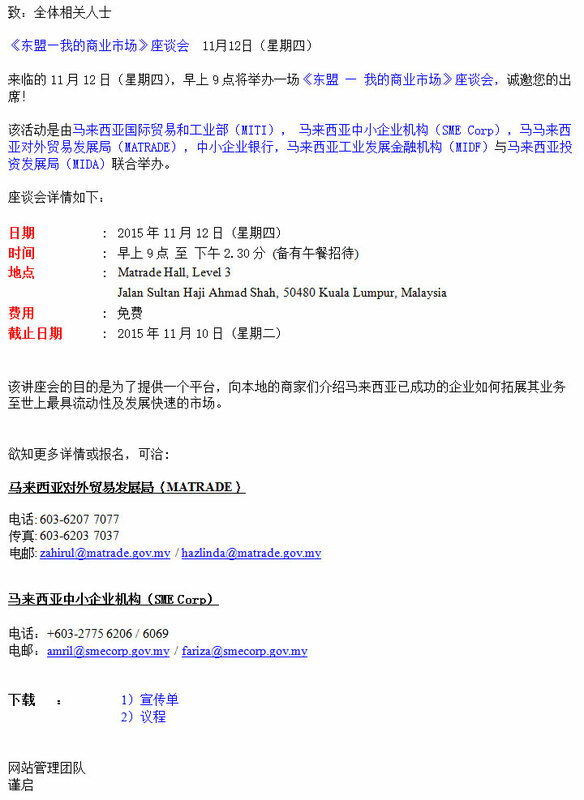 Please be informed that, there will be an event on Showcase & Forum on ASEAN MY Market on 12 November, 2015(Thursday) from 9.00am to 2.30pm. This event is organized by Ministry of International Trade and Industry (MITI), SME Corp, Malaysia External Trade Development Corporation (MATRADE), SME Bank, Malaysian Industrial Development Finance Berhad (MIDF) and Malaysian Investment Development Authority (MIDA). 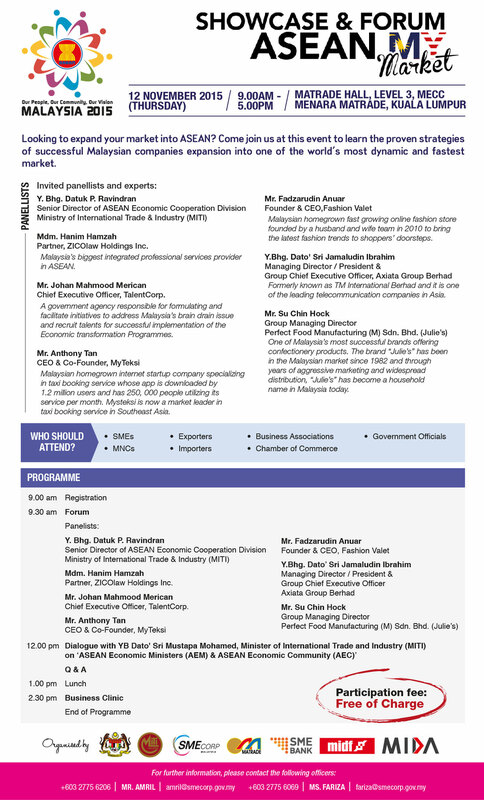 The objective of this event is to learn the proven strategies of successful Malaysian companies’ expansion into one of the world's most dynamic and fastest market.